The foundation of this workshop is the four directions of The Native American Medicine Wheel and the heart opening energy of cacao. 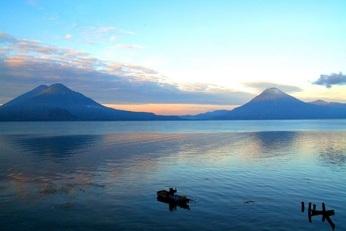 We will begin class with a cup of pure cacao from Guatemala to open the heart chakra and connect with spirit. We will then flow into an asana class connecting with the elements and the four directions of the medicine wheel and use this ancient wisdom as our guide to release what no longer serves us in order to make room for what we want to manifest in our lives. 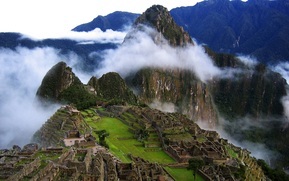 We will acknowledge and honor the energy of cacao as we step on the path to self-realization and manifestation. Join me for my annual pilgrimage to this inspiring location to deepen your practice and connection! 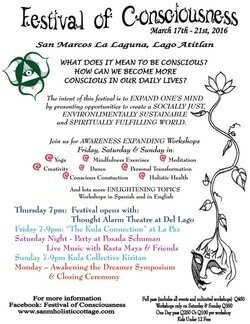 Retreat includes yoga workshops, meditation, pranayama, ayurveda, mayan sauna, chocolate ceremony, kayaking on the lake, exploring the local villages, shopping in the colorful markets, fire ceremony, manifestation ceremony, satsang, kirtan and more, an experience not to be missed! 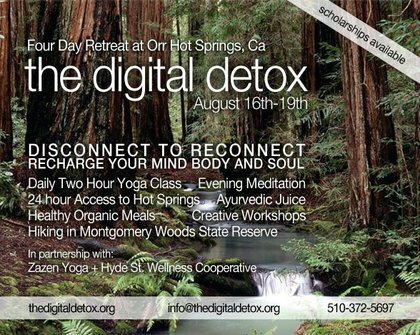 Join us for a rejuvenating retreat at Sierra Hots Springs in Sierraville, Ca., a short 2.5 hour drive from San Francisco. 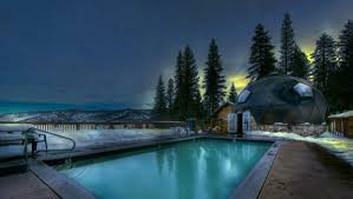 Come to enjoy the healing warmth and minerals of the springs and the refreshing spring air. We will celebrate the New Moon, a time for manifestations! Retreat includes Daily Yoga and Pranayama, Meditation, Delicious Vegetarian Meals, Qi-Gong, Rebirthing Breathwork, Restorative Yoga, Hot Springs Soaking, Self- Sadhana & more! located at Yoga BnB Yosemite, North Fork, Calif.
New Jersey, New York, etc. 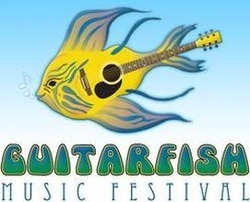 Friday 11:45 am - 12:45 pm. Join us at high noon to “loosen up” and sweat out all those party toxins in preparation for another fun night. Harness your pranic energy by using the breath to help detoxify the body and guide you through your asana practice. After building up the energy in the body with sun salutations, we will cool it down with a chakra flow aligning the mind, body, and spirit. Don’t forget water and a towel it will be hot! Join us for a special two hour yoga workshop. We will explore different styles of yoga including Partner Yoga and Acro Yoga. We will explore the art of adjustment and massage and will finish off with a wine and chocolate pairing on our outdoor veranda. Call ahead to make an appointment to use our Sauna before or after the workshop or add on a couples massage for a special Valentines discount. in the High Sierras of Tahoe National Forest. 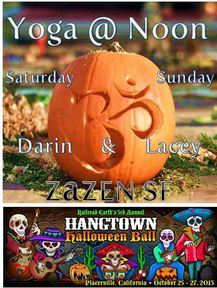 Darin and Lacey of Zazen SF. Come down to the desert for the first anual "Yoga Alliance"
leadership conference. 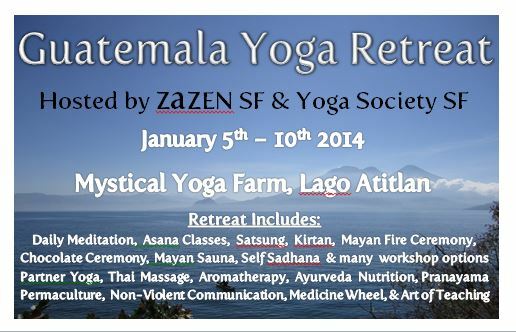 We will be there with the "School Yoga Institute" promoting the "Mystical Yoga Farm" in Lago Atitlan, Guatemala. and stories of yoga and travel.